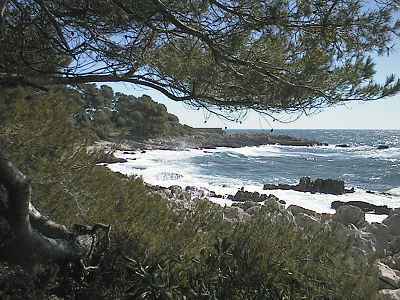 for tourists and tourism on the French Riviera. 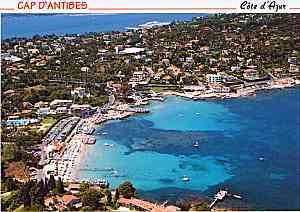 Antibes is between Nice and Cannes in the South of France, Cote d'Azur, on the French Riviera. 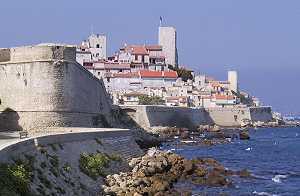 Over 2000 years ago the Ancient Greeks colonised the site of Antibes as the jewel of the Cote d'Azur. Ever since, Antibes ' wonderfully sandy beaches have given it the reputation as the most enjoyable place to be along the whole of the Mediterranean French Riviera. Whether for work or play this is the place in France where people holiday and stay . . . Here's the webmaster's favourite sandy beach and the place next door for lazy days and wonderful pancakes, the Dartagnan for lunches, a holiday apartment to rent nearby and a film star's apartment with views over Cannes ideal for holidays or for staying with guests during the film festival. The weather at the beach is often much better than this indicator, especially in winter. from where one escapes this in the company of Hollywood stars, royalty and Russia's new barons such as the model Cindy Crawford, Boris Berezovsky, the billionaire Russian "oligarch", or Princess Ashraf, sister of the late Shah of Iran. 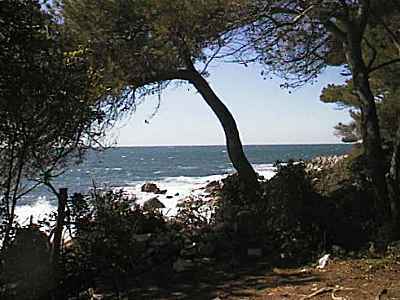 Here are mobile home holidays at the other end of town and French Riviera rentals. 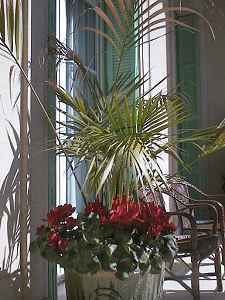 Directory of Hotels in Antibes and Juan les Pins The town is near enough to Cannes to be useful for accommodation during the Cannes Film Festival and near enough to Nice and Monaco for the Monaco Grand Prix. Early booking at these times is recommended. NEW PAGES: Cannes Nice Menton Villa Ephrussi at Villefranche The Cremerie du Cap The Special Garoupe Beach and wonderful walk The webmaster's favourite place for pancakes and a relaxing day at the beach The webmaster's favourite place for swimming and sunbathing (where he might be seen with Pamela Anderson) The best place for a very filling lunch (warning: do not click here if you are feeling hungry and do not have immediate access to food) Wedding receptions on the beach Keller Plage and Cesar's Restaurant at the Garoupe The Garoupe Beach Restaurant A drive through L'Esterel - Stratospheric properties - the most interesting villas, building land, hotels, chateaux and private islands on the French Riviera and throughout the world Bargain hotel for sale as a going concern, 14 bedrooms, underpriced at 850,000 Eu for quick sale in Antibes Juan les Pins. PLEASE SIGN OUR GUESTBOOK! OR ARE YOU LOOKING FOR SOMETHING NOT ON THIS SITE? PLACE A MESSAGE HERE AND SOMEONE MAY KNOW THE ANSWER! The webmaster knows of apartments equipped with a telephone line so that you can come and stay and still be connected to the internet . 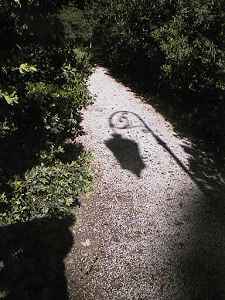 . . but if you are not so fortunate as to be able to stay at such a place, there are local internet cafes in town (but the URL link to one I had here has disappeared). French Riviera Golf Server Descriptions of several golf resorts in the French Riviera, tourist information and links to hotel and greens fee sites. In French and English. If you want to learn French, here's a French teacher. Antibes.co.uk provides email facilities for holiday rental, property and business owners marketing their services on a commission basis. So that commission can be fairly assessed all @antibes.co.uk email addresses are monitored. All addresses are protected from spam by www.AntEspam.co.uk. All @antibes.co.uk email addresses are the protected addresses serving individual subscribers to our spam protected services provided specifically and only for the purpose of making enquiries about the property or service offered on the page and are not to be used by spammers to send spam or to solicit business. Senders cannot send unsolicited marketing messages to our subscribers unless they have the recipient's prior consent to do so: Privacy and Electronic Communications (EC Directive 2003). Permission to send emails offering products or services of any kind is refused under all circumstances. If you have difficulty with this, email the webmaster @ antibes.co.uk . Spammers and scammers should regard all @antibes.co.uk email addresses as spam traps and all information about scams, spams and pirates who regard the client-base of other websites as their harvest-ground is passed to Antespam for blocking and use in the public domain, often being named here and elsewhere.